Yeeda Kimberley Tours offers some of the best, most unique tourism experiences in the Kimberley. As well as Call of the Kimberley’s luxury Kimberley tours from Broome and the unique Yeeda Station stays, Yeeda Kimberley Tours brings you accommodation and tours of the Bungle Bungles. Bungle Bungle Caravan Park as established in 2010 on Mabel Downs Station right at the turnoff to Purnululu National Park and the Bungle Bungle Range. The caravan park offers caravan and camping sites as well as comfortable safari tents. Tours of the Bungles are also on offer including a Bungle Bungle 4WD Bus Day Tour and helicopter scenic flight of the Bungles. Yeeda is also the proud owner of the iconic Willare Bridge Roadhouse. Willare Roadhouse is at the heart of beef and barra country, a place where local Yeeda cattlemen and travellers stop for a drink and a good meal as they enjoy the incredible and unique Kimberley region. Boasting a caravan park, simple ensuited rooms, fuel station, storefront, restaurant/coffee shop and a pool to cool down in at the end of the day. From humble beginnings to a fully integrated red meat business with a herd of 80,000 animals in Western Australia. Jack & Vicki Burton purchased the pastoral leases and freehold land at Kilto Station, 60km from Broome, in the early 1990s and set about building a substantial horticultural and cattle business. While building up their cattle herd, they developed acreage under irrigation where they farmed cash crops on an extensive scale. In 1999, the opportunity arose for the Burtons to purchase Yeeda Station, the adjoining Station to Kilto. In order to fast track their vision, Yeeda Pastoral Company was formed and the Burtons teamed up with the Taberers and Keys, who provided additional equity funds, and the broader vision for Yeeda commenced, with three equal partner families. In 2001, Yeeda acquired Mt Jowlaenga Station which adjoins Yeeda Station. Then in 2003, Yeeda acquired the Springvale Station aggregation area which includes Mabel Downs, Texas and Alice Downs Stations, with some 20,000 head of cattle. Springvale is located near Halls Creek, about 500km from Yeeda Station, in the East Kimberley Region. Whist increasing livestock numbers is a major objective for the business, of equal importance is preservation and enhancement of Yeeda’s pastoral environment. Yeeda has photographic and documentary evidence that the country under the Company’s control has been progressively enhanced over the past 10 years. Yeeda has a professional, experienced management team led by Jack Burton who has been leading Yeeda’s operations since the beginning. 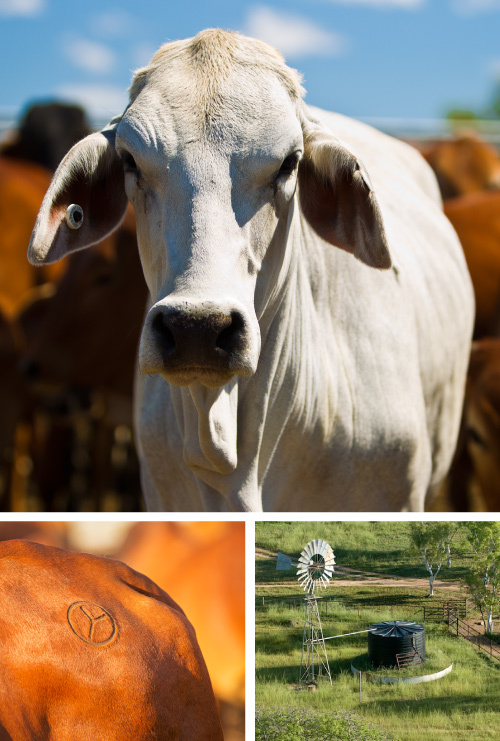 We have continually invested in the Yeeda business for over 19 years building a world class business and international-scale herd. Yeeda also operates it’s own mustering helicopters and road trains. We have a dedicated team of full time staff on the stations and use casual seasonal workers and contractors when required. Three Million Acres of Land with Abundant Water Resources. Yeeda is an Australian Aboriginal word that means water. 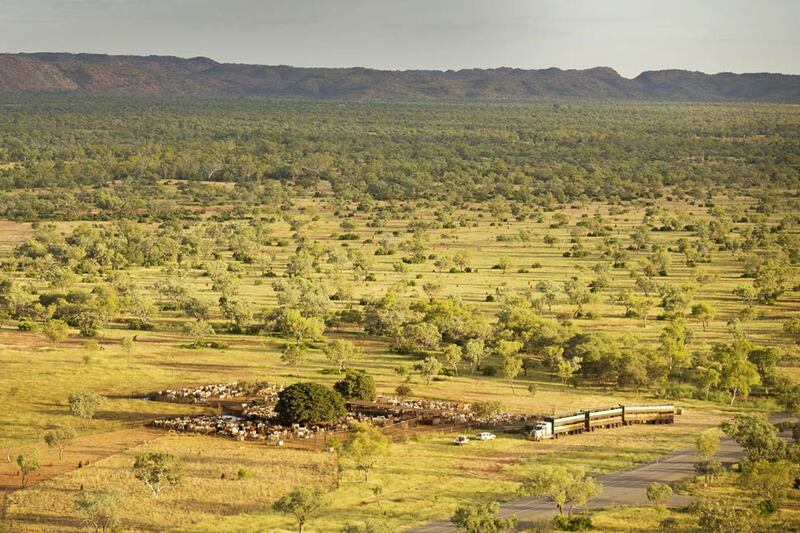 We own and control land under both freehold ownership and pastoral lease in the Kimberley Region in Australia’s North West, comprising almost three million acres including custody and access to huge water resources. This significant land area is in pristine country, is animal disease free, and has a long, well established record of pastoral use with consistent livestock production. 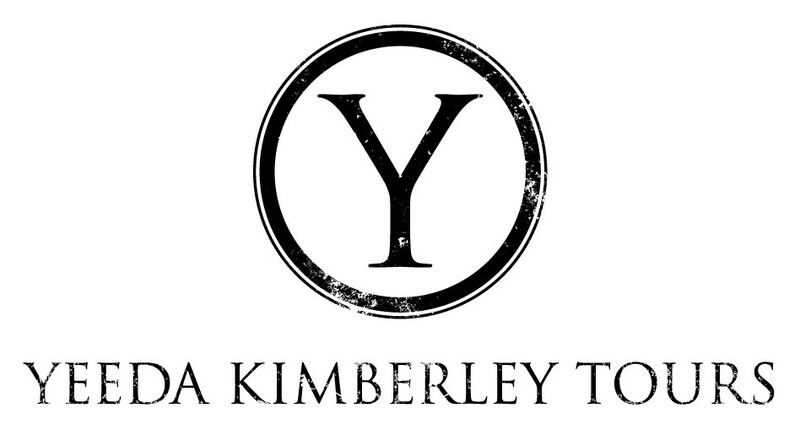 The Yeeda property is located on the Fitzroy River, the mightiest river in the Kimberley region of Western Australia. Overall, the Kimberley region holds 80% of Western Australia’s fresh surface water resources with consistent high rainfall in a region which has not experienced severe drought conditions over the past 100 years. The Kimberley region is located in Australia’s North West and is recognised as being one of the world’s last great wilderness areas. It is a sought after destination for an authentic Australian outback adventure. Tourism in the Kimberley has grown in recent years, both despite and because of the region’s remoteness. It is one of the world’s hidden treasures with spectacular landscapes including gorges, waterfalls, caves, lush rainforest and a large variety of unique wildlife, both on the land and in the ocean. 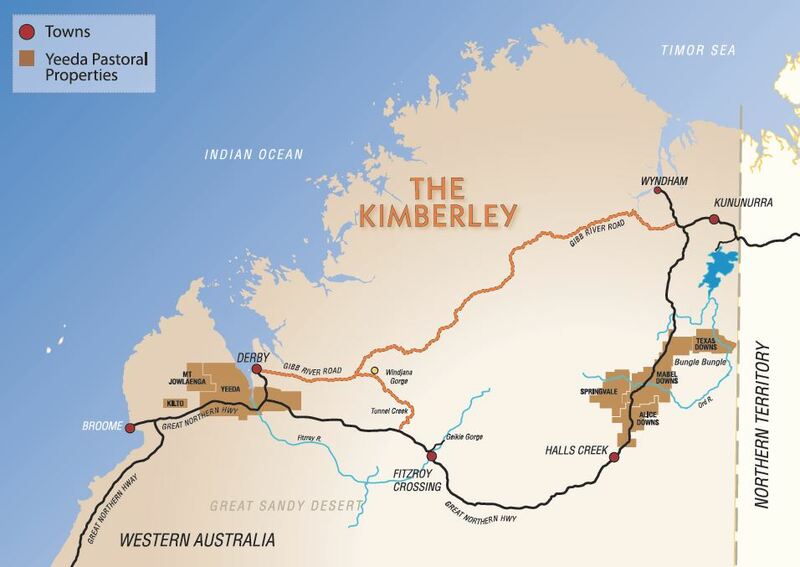 The Kimberley is one of the most exciting agricultural regions in the world. The Ord River Irrigation Scheme – located in close proximity to Yeeda’s Springvale properties, is a government driven plan to develop part of the nation’s tropical north for intensive irrigated agriculture by taking advantage of the waters of the Ord River. Geraldton is a beachside city located on Western Australia’s Coral Coast, 424 km north of Perth. The city is set between the Indian Ocean to the west, the Moresby ranges to the east and the Chapman Valley to the north. The main industries in Geraldton include agriculture mining, fishing, manufacturing, construction and tourism. Geraldton is the hub of the Mid-West region which also has a long history of successful wheat and sheep farming. It offers established meat processing works as well as the benefit of proximity to shipping, road and rail transport.